This review is focused on the comparison of the biological and pharmacological activities of usnic acid enantiomers. Most of the available data refer to (+)-usnic acid, while the left-handed isomer has been less often significantly studied. Special attention was paid to the experiments comparing both (+)- and (−)-usnic acid at the same time, the results of which indicated interesting differences, however no tendency as to which enantiomer was more potent could be observed. Nevertheless, more studies, especially on (−)-usnic acid, are needed to give a final explanation for the similarities and differences between both usnic acid enantiomers. These should be especially directed to steric structure–activity relationship of the enantiomers, tested under the same experimental conditions, which may help to explain the possible mechanisms of their actions. Lichens are composed of different groups of microorganisms. According to the traditional definition, lichens are formed by the symbiotic co-existence of an algal and/or a cyanobacterial and a fungal units. However, recent reports indicate that they can be also composed of specific basidiomycete yeasts and some bacterial communities (Grube et al. 2009; Spribille et al. 2016; Schneider et al. 2016). Such broad spectrum of microorganisms makes lichens unique in terms of chemical complexity and production of specific compounds. One of such structurally unusual metabolites is usnic acid (2,6-diacetyl-7,9-dihydroxy-8,9b-dimethyl-1,3(2H,9bH)-dibenzo-furandione), a yellow pigment, which exists in two enantiomeric forms, depending on the position of the methyl group at the chiral atom 9b (Fig. 1). Enantiomers do not substantially differ in terms of certain physical properties, like solubility, melting point or spectroscopic characteristics (Özek et al. 2010), but may have a different aroma or flavour (Silva et al. 2012) and also may reveal differences in their biological and pharmacological activity (Nguyen et al. 2006). The current, published reviews on usnic acid have focused mainly on the different aspects of its activity (Shrestha and St. Clair 2013; Araújo et al. 2015; Cimmino et al. 2018), but not on its enantiospecificity. Although a lot of experimental results describe a wide range of pharmacological properties of usnic acid, it is still not clear if there are any differences between the activities of its enantiomers. The majority of the published data concern (+)-usnic acid, while the information on the potential activity of its left-handed enantiomer is scarce. Moreover, only a small number of reports refer to the activity of (+)- and (−)-usnic acid when examined within the same experiment. This makes the comparison even harder. Thus, the aim of the present review is to compile and compare the evidence available in the literature concerning the biological and pharmacological effectiveness of both usnic acid enantiomers, in order to find potential similarities or differences in their activity. Suggestions and challenges for future studies on lichen chemistry and the biological activity of usnic acid are included in this review. The following electronic English databases were searched: Pubmed, Ovid Medline, Scopus, Web of Science and Google Scholar, with no time limit. 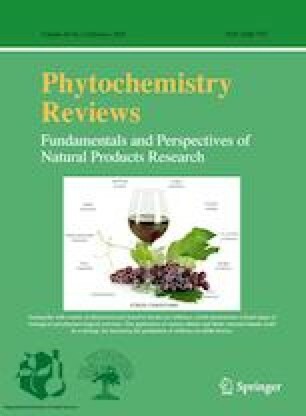 The publications have been selected by using the following keywords, combinations of “usnic acid”: enantiomer, enantiospecificity, antibacterial, antifungal, antibiofilm, antioxidant, cytotoxic, photoprotective, antiviral, anitprotozoal, anti-inflammatory, analgesic, antiproliferative, antimitotic, antitumor, allergic, toxic and hepatotoxic. Reference lists of all articles were also checked for further publications. Not only were in vitro studies with usnic acid enantiomers chosen for this review, but also in vivo experiments on insects, animals and humans were taken into consideration. Although English language articles predominated in databases, some articles in Polish, German and Czech languages were also found. For the purpose of this review, publications with the stated specific rotation of usnic acid were sourced, as well as the experiments conducted on using the (+)-enantiomer of commercial usnic acid from Sigma-Aldrich. As with other chiral substances that are produced in living organisms (Finefield et al. 2012), usnic acid is present in lichen species as one enantiomer, usually with the predominance of one single isomer form, or as a scalemic mixture of enantiomers. Some examples are given in Table 1. It is noteworthy that some of the genera tend to produce exclusively (+)- or (−)-usnic acid, like Usnea and Alectoria, respectively, while in others, such as Cladonia, no specific patterns of usnic acid enantiomers biosynthesis can be identified. On the other hand, lichen taxa in which mixtures of both enantiomers were reported, namely Flavocetraria or Vulpicida, belong to the cetrarioid clade of the Parmeliaceae family. The ratio of these mixtures was determined only in a few studies (see Table 1), mostly by means of chiral HPLC separation (Kinoshita et al. 1997; Smeds and Kytöviita 2010) or electronic circular dichroism (Legouin et al. 2017). These are useful tools for the quantitative characterization of isomers. However, in the study by Bjerke et al. (2005) the authors claimed that they were able to determine the ratio of usnic acid mixture in Flavocetraria nivalis by means of HPLC with a non-chiral column, what is questionable. Ambiguous results relating to the content of usnic acid enantiomers can be best seen with Cladonia stellaris, considered as one of the richest source of (−)-usnic acid, containing up to 2% dw of the compound (Rahman et al. 2008). The first report on this species by Kinoshita et al. (1997) described the presence of only one enantiomer, namely (−)-usnic acid. In a more recent work Smeds and Kytöviita (2010) discovered that C. stellaris contains both usnic acid enantiomers (Table 1). Although the predominance of the left-handed isomer is clearly seen, the (+)-usnic acid content was estimated to be as much as 10%. The observed differences in the ratio of usnic acid enantiomers, obtained by both research groups, may probably result from the concentration of usnic acid solution used in the analysis. However, Smeds and Kytöviita (2010) suggest that the genetic variation of the fungal strains, forming the lichen thallus, may also influence the production of specific enantiomers. A large number of studies on the activity of usnic acid, in one of its enantiomeric forms, exist. Studies comparing both enantiomers are found much less often. There were only ca. 20 papers on this subject published between 1948 and 2018. The results of the studies by Shibata et al. (1948) and Bekker et al. (2015) revealed identical antibacterial activity for both enantiomers against Mycobacterium tuberculosis, while the effect against Staphylococcus aureus was higher in the case of (−)-usnic acid. Lauterwein et al. (1995) reported that both enantiomers had the same antibacterial activity against five out of ten tested bacteria strains (see Table 2). Data on another four bacterial strains showed the predominant effect of (+)-usnic acid. Only in the case of Bacterioides fragilis did the left-handed enantiomer show more activity. In a recent study of Lage et al. (2018), both usnic acid enantiomers were effective inhibitors of six clinical isolates and one reference strain of Helicobacter pylori. It is interesting to note that (+)-usnic acid was at least two-times more active in comparison to its (−)-enantiomer, with the exception of the reference strain and one clinical isolate, where the MIC values were equal for both enantiomers. Moreover, (+)- and (−)-usnic acid inhibited the activity of urease, an enzyme produced by H. pylori to colonize the stomach, by 45.3 and 33.1%, respectively. The only work comparing the antifungal activity of both compounds was the study of Halama and Van Haluwin (2004), in which no activity was shown by usnic acid enantiomers against the plant pathogenic fungal strains: Phytophthora infestans, Pythium ultimum and Ustilago maydis. Antiviral potency of both usnic acid enantiomers was compared in two subsequent experiments in which (−)-usnic acid not only revealed significantly stronger in vitro activity against A(H1N1)pdm09 influenza virus in comparison to its (+)-enantiomer, with ED50 values 14.5 and 51.7 µM (Sokolov et al. 2012), respectively, but also inhibited replication of the virus in MDCK cells more effectively than (+)-usnic acid (Shtro et al. 2014). On the contrary, (+)-usnic acid appeared to be a more potent inhibitor (ED50 1.0 mg/ml) of Epstein–Barr virus activation, induced by a tumor promoter teleocidin B-4, in comparison to the left-handed enantiomer, with ED50 1.0 and 5.0 µM, respectively (Yamamoto et al. 1995). In the study by Verotta et al. (2007), no significant differences were observed between the antiplasmodial activity of the tested enantiomers against Plasmodium falciparum, with IC50 values 15.3 and 16.1 µM, for (+)- and (−)-usnic acid, respectively. The antimalarial potential of both compounds was low, in comparison to chloroquine (IC50 0.089 µM). Cetin et al. (2008) examined the insecticidal activity of usnic acid enantiomers against the larvae of the house mosquito Culex pipiens. After 24 h exposure to both compounds, strong and dose-dependent larvicidal activity was observed, with LC50 values 0.9 and 0.8 ppm for right- and left-handed usnic acid, respectively. In the study of Emmerich et al. (1993), the toxicity and antifeedant activity of (+)- and (−)-usnic acids were examined against the larvae of Spodoptera littoralis, an herbivorous insect. Although both enantiomers provoked strong mortality and growth retardation of the larvae, as a consequence of their antifeedant properties, the left-handed enantiomer was significantly more active in comparison to its right-handed form, with LD50 value 8.6 and 90.8 µmol/g dw, respectively. The results of the study are noteworthy, as this is the only example of such vast, almost tenfold difference in the activity of both enantiomers. The results presented by Romagni et al. (2000) indicated significant differences between both usnic acid enantiomers in their phytotoxic activity. Left-handed usnic acid caused a dose-dependent bleaching of cotyledonary tissues of Lactuca sativa and Allium cepa produced in in vitro cultures. This was a result of the decrease in the amounts of chlorophyll and carotenoids. No activity was observed for (+)-usnic acid. Moreover, (−)-usnic acid inhibited the activity of protoporphyrinogen oxidase and also irreversibly inhibited 4-hydroxyphenylpyruvate dioxygenase, the enzymes involved in chlorophyll and carotenoids conversions. Only a few authors compared both enantiomers using the same experimental conditions (Koparal et al. 2006; Bazin et al. 2008; Einarsdottir et al. 2010; Prokopiev et al. 2017). The results are summarized in Table 4. The influence of both compounds on a variety of murine and human cancer cell lines was presented by Bazin et al. (2008). The results indicate that (+)-usnic acid was more active against murine L1210 and human K-562 leukemias. It was also active against human prostate DU145 and breast MCF7cancer, while (−)-usnic acid was stronger only in the case of murine lung cancer 3LL. It is noteworthy that both enantiomers revealed comparable cytotoxicity against human glioblastoma U251. Similarly, the study by Koparal et al. (2006), showed (+)-usnic acid to be more active, against both tested cell lines, namely murine fibroblasts V79 and human lung A549 cancer cells, than its right-handed isomer. However the results of Einarsdottir et al. (2010) showed no differences in cytotoxicity when both enantiomers were tested against human breast T 47-D and pancreatic Capan-2 cancer cells. In addition, the study of Prokopiev et al. (2017), suggests more pronounced cytotoxic effect of (+)-usnic acid on human blood lymphocytes. Prokopiev et al. (2018) indicated significant differences between genotoxic activities of both usnic acid isomers on human peripheral-blood lymphocytes. The results were more profound at higher tested concentrations of 0.15 and 0.30 mM. The effect of (−)-usnic acid was two times higher than its (+)-enantiomer, and was accompanied by the atypical DNA comets, formed with much higher frequency for the former isomer. It is noteworthy that the same authors described antigenotoxic and progenotoxic properties of both enantiomers depending on the concentration used. These compounds reduced DNA damage and the number of atypical DNA comets, provoked by the use of genotoxicants dioxidine and methyl methanesulfonate, in blood lymphocytes at concentrations up to 1 µM. However, at the dose of 100 µM both usnic acid isomers enhanced the genotoxicity of the toxins and no significant differences between the impact of the enantiomers was observed. Similar investigations by Koparal et al. (2006) indicated that neither of the usnic acid enantiomers showed genotoxicity in human lymphocytes in the cytokinesis-blocked micronucleus assay. An early observation by Mitchell and Shibata (1969) showed the differences in immunologic response between both usnic acid isomers. Seven forest workers, developed contact allergies after working in the forested areas for a period of time. They were subjected to patch tests and in six cases, the response following application of (+)-usnic acid (0.1%) was positive, while (−)-usnic acid, at much higher concentration (5%) did not cause any reaction. In the case of racemic usnic acid (1%) contact dermatitis was observed in six of the seven tested workers. The authors suggest that the allergic potential may depend on the presence of a COCH group at position 8 and a CH group at position 6, as in (+)-usnic acid. Moreover, in their previous work, the authors stated that application of usnic acid (up to 50%) to healthy individuals, without previous contact dermatitis, caused no primary skin irritation (Mitchell and Armitage 1965). Opposite results were described by Salo et al. (1981), in a study of lichen pickers, who reacted to both usnic acid enantiomers. This observation was in agreement with the study of Hausen et al. (1993), on the sensitizing potency of both usnic acid forms on the guinea pigs by a modified FCA (Freund’s complete adjuvant). Although generally weak, in comparison to standard sensitizers, (–)‐usnic acid was at least two times stronger than (+)‐usnic acid. The antibacterial activity of (+)-usnic acid, presented in Table 2, ranged from significantly high to rather weak, with MIC values from 2 to 1000 µg/mL. It is noteworthy that the antibacterial effect described by various authors for the same bacterial strain is sometimes as much as tenfold stronger. This can be seen with Staphylococcus aureus. At present, only few studies suggest a possible mechanism for the antimicrobial activity of (+)-usnic acid. In one study, using Staphylococcus aureus MRSA strains, the authors suggest that this compound exerts its antibacterial activity by damaging the bacterial membrane. Further studies in animals (Gupta et al. 2012) showed a significant decrease in microbial load at doses of 1–5 mg/kg. Another study showed that (+)-usnic acid caused a strong inhibition of RNA and DNA synthesis in Bacillus subtilis and S. aureus, but not in Escherichia coli, with only a slight effect in Vibrio harveyi. Moreover, this compound also influenced the translation process and inhibited the protein synthesis in B. subtilis and S. aureus (Maciąg-Dorszyńska et al. 2014). Several studies indicate that (+)-usnic acid may inhibit the formation of both Gram-positive and Gram-negative bacteria biofilm. In one of the study (+)-usnic acid inhibited the formation of biofilm in four serotypes of Streptococcus pyogenes, responsible for pharyngitis. Not only was the biofilm biomass reduced, but there was also the decrease in protein and fatty acid components of the biofilm forming cells (Nithyanand et al. 2015). Some practical aspects for the antibiofilm activity of (+)-usnic acid were described by Francolini et al. (2004). They showed that addition of (+)-usnic acid to polymeric materials in small medical devices prevented bacterial attachment and biofilm formation and significantly inhibited the growth of Staphylococcus aureus but not Pseudomonas aeruginosa, when compared to the control. A similar effect was described by Kim et al. (2011), in which (+)-usnic acid added to polymethylmethacrylate (PMMA)-based bone cement significantly decreased methicillin-resistant Staphylococcus aureus biofilm formation. Stan et al. (2016), developed a nanostructured bioactive surface, consisting of zinc oxide, sodium stearate and (+)-usnic acid. The addition of the latter significantly inhibited the adherence and biofilm formation of Salmonella enterica, a known food pathogen, when compared to a surface without (+)-usnic acid. Grumezescu et al. (2011) reported that (+)-usnic acid, formulated in nano or microparticles, significantly inhibited Staphylococcus aureus biofilm formation on coverslips coated with a tested nanofluid. Few years later the authors discovered that (+)-usnic acid, loaded into magnetic polylactic-co-glycolic acid-polyvinyl alcohol (PLGA-PVA) microspheres, inhibited not only the initial attachment of S. aureus to the coated surface, but also the development of mature biofilms (Grumezescu et al. 2014). Similar studies by Martinelli et al. (2014) revealed that (+)-usnic acid-loaded into carboxylated poly(L-lactide) microparticles was able to inhibit 24-h Staphylococcus epidermidis biofilm, with results that were more profound than the use of (+)-usnic acid alone. A possible mechanism for the antibiofilm activity of (+)-usnic acid against methicillin-resistant Staphylococcus aureus was recently published by Pompilio et al. (2016), who state that the effect may be a consequence of the impaired adhesion to the host matrix binding proteins, but also may be due to the decrease in lipase and thermonuclease expression. Salta et al. (2013) described the effect of (+)-usnic acid on biofilm formation of two Gram-negative marine bacteria, Cobetia marina and Marinobacter hydrocarbonoclasticus, which cause biofouling and damage to the underwater hull of the ships. The tested compound significantly inhibited the attachment of M. hydrocarbonoclasticus at the highest tested concentration of 40 ppm. In the concentration range from 0.1 to 20 ppm the adhesion remained unaffected. For C. marina, an enhancement in adhesion, rather than inhibitory effect, was observed for all tested concentrations. Antifungal activity of (+)-usnic acid is shown in Table 3. The compound appears to have rather a weak antifungal effect on a number of pathogenic and non-pathogenic fungi and yeasts, with MIC values frequently above 100 µg/mL. Some studies also report the influence of (+)-usnic acid on the fungal biofilm of different Candida strains. This compound not only significantly inhibited C. albicans biofilm formation, by reducing viability of the cells in the already existing biofilm and preventing further adhesion, but also reduced the thickness of matured biofilms (Nithyanand et al. 2015). In another study (+)-usnic acid at the concentration of 4 µg/mL caused significant biofilm inhibition: 71.08% for azole-resistant and 87.84% for azole-sensitive C. albicans strains (Peralta et al. 2017). Pires et al. (2012) examined the antibiofilm effect of (+)-usnic acid on two Candida strains, C. orthopsilosis and C. parapsilosis. Although the lowest concentration with 50% reduction in biofilm metabolic activity (BEC50) had the same value for both strains (3.9 µg/mL), BEC80 value for C. parapsilosis was two times higher (62.5 µg/mL), in comparison to the other tested strain. Moreover, similar differences in minimum biofilm fungicidal concentration (MBFC) for C. orthopsilosis and C. parapsilosis indicated higher resistance of the latter strain to (+)-usnic acid. In contrast, Kvasnickova et al. (2015) demonstrated that (+)-usnic acid did not exhibit any antibiofilm activity against C. parapsilosis and C. krusei, up to 300 µg/mL. Only a few experiments have been carried out on the antiviral activity of (+)-usnic acid. In the experiment by Perry et al. (1999), (+)-usnic acid revealed moderate activity against Herpes simplex type 1 and Polio type 1 viruses, causing over 4 mm inhibition zone at the concentration of 7.5 µg and 30 µg per disc, respectively. A possible explanation for the antiviral action of (+)-usnic acid was suggested by Campanella et al. (2002). Mouse 3T6 fibroblasts were transfected with polyoma viruses, to check the ability of usnic acid to influence viral DNA replication, and the cells were incubated with or without (control) the tested compound. The results indicate that the compound was effective at the concentration of 5 µg/mL. The authors showed that (+)-usnic acid strongly inhibited the replication of viral RNA, isolated from previously transfected cells. Some interesting results on antiprotozoal activity of (+)-usnic acid have been published. Two authors have studied the activity of (+)-usnic acid against a number of Leishmania species. In the study by Fournet et al. (1997), (+)-usnic acid was tested against promastigotes forms of Leishmania braziliensis, L. amazonensis and L. donovani. Following a 48-hour incubation with the tested compound, the total lysis of the parasites was observed at the concentration of 25 µg/mL. Interestingly, the same effect was noticed for control drug pentamidine at the same concentration, while ketoconazole, also used as a control, was not active. In a similar in vitro study against three Leishmania species, namely L. amazonensis, L. brasiliensis and L. infantum, (+)-usnic acid caused a 100% lysis of the cells at the concentration of 100 µg/mL (Schmeda-Hirschmann et al. 2008). The antiparasitic potential of (+)-usnic acid against Toxoplasmosa gondii was examined. The tested compound inhibited the viability of the tachyzoite, in a time and dose-dependent manner, and the effect for the highest concentration used (4 × 10−6mol/L) was comparable to the reference drug acetylospiramycin. In addition, the compound also influenced the invasive potential of the tachyzoites into cardiofibroblasts in vitro, and the number of infected cells significantly decreased. It is worth noting that the effect for (+)-usnic acid was more profound than that observed for control drug (Si et al. 2016). The antiprotozoal activity of (+)-usnic acid was also studied in vivo (Fournet et al. 1997; Si et al. 2016). The compound was administered to Leishmania amazonensis infected BALB/c mice at the dose of 25 mg/kg body weight, by various routes: orally, subcutaneously or by intralesional injections in the infected footpad. The latter treatment with (+)-usnic acid significantly decreased both lesion weight and the parasite loads in the footpad by 43.34and 72.28%, respectively, in comparison to untreated animals The other routes of administration revealed rather an increase in both parameters. It is important to note that no toxic effects of (+)-usnic acid administration were observed, except for a slight inflammation on the footpad after the injections (Fournet et al. 1997). In a similar study (+)-usnic acid at doses of 5, 10 and 20 mg/kg, and also (+)-usnic acid formulated in liposomes at the dose of 10 mg/kg, were administered intragastrically to Swiss Webster mice, infected with tachyzoites of Toxoplasmosa gondii. The compound with the highest tested concentration, and the compound formulated in liposomes, significantly prolonged the survival time of mice infected with the parasite, to 90 and 117%, respectively, and the latter effect was better than this achieved with the control drug acetylospiramycin. The tested compound also caused the changes in membrane organelles of Toxoplasmosa tachyzoite, which influenced its virulence. Unfortunately, no information concerning possible toxic effects was provided by the authors (Si et al. 2016). Sahib et al. (2008) described the activity of (+)-usnic acid against Xyleborus fornicatus, a beetle infecting Camellia sinsensis cultivars in Sri Lanka. The growth and development of the insects in various stages of their life cycle were strongly affected by the addition of the tested compound (at the concentration of 50, 75 and 100 ppm) to the artificial dietary media. In a similar study (+)-usnic acid revealed insecticidal activity against Glyptotermes dilatatus, a termite pest of tea endemic to Sri Lanka. The starved insects were administered 10 mg of the tested compound. This caused a significant, 80% mortality of the termites after 23 days of the exposure (Kathirgamanathar et al. 2005). An inhibitory effect of (+)-usnic acid on photosynthesis due to a decrease in carotenoids and chlorophyll content in tomato plant cultivars and Quercus rotundifolia leaves has been reported (Latkowska et al. 2006; Bouaid and Vicente 1998). In a similar study (+)-usnic acid, at a very low concentration range 1–2.5 µg/mL, inhibited the viability of the protoplasts isolated from the leaves of Nicotiana tabacum, in a dose-dependent manner. The growth of N. tabacum cells in vitro was also inhibited, with the total inhibitory effect seen at 5 µg/mL (Cardarelli et al. 1997). The tested compound also significantly inhibited the growth of Scenedesmus quadricauda, a fresh water algae genus, but the other tested genus Asterochloris erici, a lichen photobiont, was much less affected. The weaker phytotoxic effect observed in the latter may result from its evolutionary adaptation to the presence of usnic acid (Bačkor et al. 2010). The immunostimulatory potential of (+)-usnic acid on peritoneal macrophages isolated from mice has been reported (Santos et al. 2004). At the concentration of 100 µg/mL, the compound stimulated hydrogen peroxide (65.68 nmol) and nitrogen oxide (83 µmol) release from the tested cells, while the reference substances used in the study (zymosan and LPS) stimulated the release of hydrogen and nitrogen reactive forms in 275.41 and 65 nmol, respectively. However, no immunomodulatory effect of (+)-usnic acid on the oxidative burst activity of whole blood phagocytic cells and there was no release of reactive oxygen radicals (Thadhani et al. 2015). A recent study describes the influence of (+)-usnic acid, complexed with hydroxypropylβ-cyclodextrin for better solubility, on myocardial contractility in vitro. Isolated left atria of guinea pigs and rat ventricular cardiomyocytes were used in the study. The results indicate that (+)-usnic acid reduced atrial contraction, observed as a decrease in Ca2+ entry in myocardial cells. In isolated cardiomyocytes, the compound inhibited the L-type Ca2+ current by 73.0% at 100 µM dose. In addition, (+)-usnic acid caused an irreversible myocardial contracture, characterized by a serious disturbance of the intracellular Ca2+ homeostasis. It is noteworthy that at the same time cell membrane integrity was not affected (Mendonça et al. 2017). The anti-inflammatory activity of (+)-usnic acid was studied both in vitro and in vivo. The results of the conducted in vitro studies showed no inhibitory effect of the compound on the platelet type12(S)-lipoxygenase up to 100 µg/mL (Bucar et al. 2004) and only weak inhibitory activity on leukotriene B4 synthesis in polymorphonuclear leukocytes at IC50 42 ± 2.2 µM (Kumar and Müller 1999a). In an acute and chronic inflammation model, dextrorotatory usnic acid, administered per os to rats at 25, 50 and 100 mg/kg doses, caused a decrease in rat paw edema and in the highest dose the effect was comparable to the reference drug, ibuprofen. In a chronic model (+)-usnic acid decreased the granulation in a dose-dependent manner and the effect was comparable to ibuprofen (Vijayakumar et al. 2000). In a similar study (+)-usnic acid, administered orally to mice in 30 and 100 mg/kg doses, revealed analgesic activity, resulting in 50 and 40% decrease in animal writhing, respectively, plus a long-term analgesic effect seen in tail-pressure test. Regarding the effect on normal body temperature and LPS-induced hyperthermia in mice, (+)-usnic acid showed a significant effect only on the latter, causing the decrease in temperature by 1 and 2.5 °C for 100 and 300 mg/kg doses, respectively, 4 h after the administration (Okuyama et al. 1995). An interesting study in the context of potential toxicity concerns the comparison of the anti-inflammatory effect of (+)-usnic acid alone and encapsulated in poly-ε-caprolactone microsphere polymers. Both compounds, administered subcutaneously to rats in the dose of 25–50 mg/kg, significantly reduced paw volume and decreased myeloperoxidase levels, whereas only the encapsulated form of (+)-usnic acid (50 mg/kg) significantly reduced the levels of inflammatory cytokines (IL-1β, TNF-α) and NO. It is noteworthy that the (+)-usnic acid in microspheres showed a lower acute toxicity than the free form. This may have implications for further (+)-usnic acid toxicity reduction (Barbosa et al. 2017). The antimitotic activity of (+)-usnic acid was examined using the Allium test. The compound inhibited the growth and mitosis of the roots at the concentration of 0.0004% (Oświecimska et al. 1987). The cytotoxic activity of (+)-usnic acid has been extensively studied and the results, mainly expressed as IC50 values, are summarized in Table 4. The compound affected murine and human cancer cells of different origin, with the activity described from high to rather moderate, while showing a significantly weaker effect on normal cells. This implicates the selectivity of (+)-usnic acid. However, vast differences were observed between IC50 values obtained for the same cancer line by different authors, as it can be seen for HeLa or MCF7 cancer cell lines (Table 4), and may be due to the different viability tests used. Despite a great number of in vitro cytotoxicity studies of (+)-usnic acid, the data on its in vivo antitumor potential is scarce. Intraperitoneal administration of (+)-usnic acid to sarcoma 180-bearing mice at a dose of 15 mg/kg, in its free and PLGA-encapsulated form resulted in a 63% inhibition of tumor growth for the latter. In the case of the free compound, there was only 42% inhibition. It is worth noting that both tested forms of (+)-usnic acid caused no histopathological changes in liver, spleen or kidneys of the animals (Ribeiro-Costa et al. 2004). In a further experiment, under the same experimental conditions, the results were similar, with an inhibition of tumor growth of 43.3 and 69.7% for free and encapsulated (+)-usnic acid, respectively. Moreover, the decrease in hepatotoxicity for the latter was observed, with less hepatocytes vacuolization and a decrease in the levels of liver enzymes (da Silva Santos et al. 2006). An interesting experiment was recently described by Su et al. (2017), who examined the effect-enhancing and toxicity-reducing activity of (+)-usnic acid on hepatoma H22-bearing mice treated with bleomycin. Usnic acid (25, 50 and 100 mg/kg, p.o.) administered together with bleomycin (15 mg/kg, i.p.) was significantly more effective than the cytostatic alone in inhibiting tumor growth, and also in apoptosis inducement in cancer cells. Moreover, (+)-usnic acid decreased some of the side effects of bleomycin, such as lung-tissue damage or excessive production of extracellular matrix, oxygen radical and inflammatory cytokines. No antioxidant effect of (+)-usnic acid in DPPH test up to 0.8 mM was proved (Kumar and Müller 1999a; Brisdelli et al. 2012). Moreover, the compound at the concentration up to 250 µM was not able to protect rat brain homogenate tissue with oxidative stress induced with H2O2/Fe2+ (Toledo Marante et al. 2003). Also, no prooxidant properties of (+)-usnic acid on lipids in model membranes were found (Kumar and Müller 1999a). In an interesting study by Suwalsky et al. (2015), (+)-usnic acid did neutralize the oxidative impact of hypochlorous acid on human erythrocytes cell membranes and also on their molecular models, at the concentration range 2–17.5 µM. The antiangiogenic potential of (+)-usnic acid was examined both in vitro, using the human umbilical vein endothelial cell (HUVEC) tube formation assay, and in vivo, using the zebrafish embryos or chick embryo chorioallantoic membrane (CAM) assay and the mouse corneal micropocket model. The results from the in vitro model indicate that (+)-usnic acid inhibited about 50% of tube formation at a concentration of 20 µM, after 8–12 h of incubation, as compared to the untreated cells (Song et al. 2012). In the in vivo study, the formation of new blood vessels was blocked by (+)-usnic acid (1 µg/disc) in the CAM model, and in the VEGF-induced angiogenesis in the mouse cornea, there was marked inhibition. It is significant that no adverse effects such as eye inflammation or corneal edema were observed during the treatment. Moreover, the authors also described the influence of the tested compound on breast tumor angiogenesis in the mouse xenograft model and they observed that the mean integrated optical density of tumor blood vessels was obviously less in the treated (50 mg UA/kg/day intraperitoneally, 7 days), in comparison to the untreated animals (Song et al. 2012). The study on zebrafish embryos also revealed significant antiangiogenic effects, such as the reduction of intersegmental vessels, dorsal longitudinal anastomotic vessels, subintestinal veins and secondary sprouts. Side effects of pericardial edema and the impairment of blood flow were noticed, together with a curvature of the spine (Draut et al. 2017). Studies by Polat et al. (2016), using the micronucleus assay, on the right-handed enantiomer of usnic acid indicate that the compound is not genotoxic to human lymphocytes, instead it can have a protective effect in concentrations up to 200 µg/mL due to its antioxidant properties. Both in vitro and in vivo studies of the genotoxic potential of (+)-usnic acid, using the hamster lung fibroblasts V79 and Swiss mice model, were also described. Results obtained in the in vitro micronucleus assay indicate that the compound was not genotoxic, but it did cause DNA damage. This was observed in the comet assay at the doses of 60 and 120 µg/mL. Moreover, the addition of (+)-usnic acid significantly reduced the frequency of micronuclei and DNA damage, induced by the administration of genotoxin, methyl methanesulfonate (MMS). No genotoxic effects were observed in Swiss mice given up to 200 mg/kg b.w. of MMS; rather a protective, antigenotoxic effect was observed following (+)-usnic acid administration (Leandro et al. 2013). Mayer et al. (2005) reported on the cytotoxic, but not the genotoxic effect of (+)-usnic acid on breast cancer MCF7 cells, up to 20 µM. No phosphorylation of p53 at Ser15, a signal transmission after DNA damage, was observed in the cells. On the other hand, (+)-usnic acid, at doses of up to 20 mM caused mutagenic and carcinogenic changes in the somatic cells of Drosophila melanogaster larvae (Machado et al. 2016). In a study by Abo-Khatwa et al. (2015), (+)-usnic acid at the dose of 80–280 mg/kg was administered subcutaneously to mice to determine its potential toxicity. The median lethal dose of the compound was 180 mg/kg and the toxic symptoms included: long chalasia, ponopalmosis or spastic paralysis. These symptoms were most evident 2–5 h following treatment. In addition, the uncoupling of oxidative phosphorylation in the mitochondria isolated from these mice were observed. In another study (Joseph et al. 2009), the effect of (+)-usnic acid, administered per os to mice at 60–600 ppm, resulted in a 4-fold effect on the expression of several genes associated with the complexes I to IV of the mitochondrial electron transport chain. The genes involved in the Krebs cycle, fatty acid oxidation, and membrane transport were also over-expressed. The authors suggest that this may be a specific compensatory response to (+)-usnic acid, which caused an uncoupling of the proton gradient which maintains the mitochondrial membrane. The toxicity of (+)-usnic acid was also studied by Dailey et al. (2008), who administered the compound per os to domestic sheep. The toxic symptoms included: lethargy, anorexia and abdominal discomfort, and the median toxic dose was estimated between 485 and 647 mg/kg/day for 7 days. Numerous studies describe toxic impact of usnic acid on liver function both in vitro and in vivo, including severe hepatotoxicity following intake of some dietary supplements for weight loss which contained this compound. This problem was discussed in detail in two recent review papers by Guo et al. (2008) and Araújo et al. (2015). It should be stressed that only some of these studies indicated the specific rotation of the tested usnic acid to be the (+)-enantiomer. In the abovementioned study on domestic sheep (see the section on ‘Toxicity”) the levels of creatine kinase, aspartate aminotransferase and lactate dehydrogenase were considerably elevated in the serum of the animals treated with (+)-usnic acid (Dailey et al. 2008). Similar increases in serum alanine aminotransferase and total bilirubin levels in Wistar rats treated with 100, 200 and 240 mg/kg of (+)-usnic acid, together with hydropic degeneration of hepatocytes was described by Lu et al. (2011). However, in the aforementioned study of Silva Santos et al. (see the section on “Anticancer properties”) the hepatotoxic effect of (+)-usnic acid was significantly decreased when the compound was used in the nanoencapsulated form. Moreover, the dose of (+)-usnic acid, which was effective for tumor inhibition in the treated mice (da Silva Santos et al. 2006), was ten to 30-fold lower than that used in the toxicity studies of Lu et al. and Dailey et al., respectively. The suggested mechanism of the hepatotoxicity of usnic acid may be connected with its impact on the loss of cell membrane integrity and disruption of mitochondrial functions (Pramyothin et al. 2004), however the details of the process have not yet been defined. In our own studies on human, rat and mouse microsomes we have shown the idiosyncratic character of hepatotoxicity of usnic acid. This is due to the generation of its reactive metabolites, which form adducts with glutathione. Moreover, our results of in silico studies suggest that the hepatotoxicity can be reduced by designing usnic acid derivatives lacking ortho-methyl phenols (Piska et al. 2018). The biological and pharmacological properties of (−)-usnic acid are described less often in experimental papers in comparison to its right-handed enantiomer and cover only selected areas of activities. The antibacterial and antifungal activities of left-handed usnic acid are summarized in Tables 2 and 3. No information is available on the possible inhibitory effect on bacterial or fungal biofilm formation of (−)-usnic acid. The antimitotic activity of (−)-usnic acid was examined using the Allium test. This compound inhibited the growth and mitosis of roots at concentration of 0.25 and 2.5 µg/mL (Huovinen and Lampero 1989). Only a few studies describe the influence of left-handed enantiomer on cancer cells in vitro and the results are summarized in Table 4. The cytotoxic activity may be regarded as rather high, although further studies are needed on other types of murine and human cancer cell lines of different origin to obtain more clear evidence. Moreover, the information available on the potential selectivity of (−)-usnic acid is scarce. Only two experiments have been conducted to measure its activity against normal cells, with rather moderate toxicity. Two studies, dating back to 1970s, concern anticancer properties of (−)-usnic acid. In the earliest experiment (−)-usnic acid, administered at doses of 20–200 mg/kg, caused a 35–52% increase in survival of mice with Lewis lung carcinoma, in comparison to the untreated group (Kupchan and Kopperman 1975). Further experiment by Takai et al. (1979) indicated a moderate antitumor effect of (−)-usnic acid. The compound, administered intraperitoneally to mice with P388 leukemia in a dose of 100 mg/kg, extended the survival time of the animals up to 41%, as compared to the controls. In both reports no information concerning the potential toxicity of the compound was provided. In one study (−)-usnic acid showed a protective effect on UVB irradiated human keratinocytes at a concentration of 100 µM (Varol et al. 2015). In a study by Koparal (2015), (−)-usnic acid demonstrated antiangiogenic properties by inhibiting tube formation in a time and dose dependent manner, with IC50 427.9 and 71.5 µM after 24 and 48 h of incubation, respectively. In the time scope covered by this review only two reports have been published on the activity of usnic acid racemic or scalemic mixtures. In one of them the effects of racemate and the both single enantiomers were compared under the same experimental conditions. The antibacterial activity of racemic usnic acid against Mycobacterium tuberculosis did not differ from either single enantiomer. The activity of racemic usnic acid against Staphylococcus aureus was identical to this caused by (+)-usnic acid but weaker than that of the left-handed enantiomer (Shibata et al. 1948). One recent study described the antioxidant properties of usnic acid isolated from Vulpicida pinastri, which occurred as a mixture of (+)- and (−)-isomers in 35/65 ratio. The mixture of both isomers revealed moderate antioxidant activity in the superoxide radical scavenging NBT test in comparison to ascorbic acid used as a positive control, with IC50 24 and 3 µg/mL, respectively, while no activity in DPPH test was observed, with IC50 > 500 µg/mL (Legouin et al. 2017). The same authors also described the photoprotective potential of the mixture of enantiomers. The tested substance revealed to be a good UVB filter, and the activity was comparable to OMC (octylmethoxycinnamate), used as a positive control. Moreover, the compound was photostable after UVA irradiation, retaining its protective properties. The authors also measured the phototoxic potential of usnic acid on irradiated keratinocytes, reporting the calculated photo-irritancy factor (PIF) as 0.7, while the threshold value is established at 5 (Legouin et al. 2017). Considering the perspectives for further usnic acid studies, two major points should be emphasized: the problem of the identity and purity of both enantiomers and also the comparison of their activity. Bioactivity screening of usnic acid should be preceded by careful characterization of its enantiomeric purity. Formerly recognized lichen taxa producing certain usnic acid isomer should be subjected to a more thorough examination (see the case of Cladonia stellaris in the “Distribution and identification of usnic acid enantiomers” section). It should be also noted that geographical origin of the lichen, or genetic variety of the fungal component, may also induce qualitative and quantitative differentiation between individual samples of the same species, including the production of (+)- or (−)-isomer of usnic acid. Thus, it is extremely important not only to correctly identify the lichen species to be studied, but also to determine the specific rotation of usnic acid enantiomers or the ratio of the mixture. Although a great number of reports have been published on the biological and pharmacological activities of individual usnic acid enantiomers, a vast majority of them concern the right-handed enantiomer while (−)-usnic acid seems to be definitely less examined. One of the reasons may be the fact that the sole commercially available usnic acid is the right-handed enantiomer. The increase of the studies on both usnic acid enantiomers under the same experimental conditions is crucial for drawing any final conclusions on the superiority of any of them. The results of all the studies cited in this paper do not provide a clear answer as to whether one of the two enantiomers is more beneficial over the other. Significant and vast differences between (+)- and (−)-usnic acid were observed in only a few reports on antiviral (Sokolov et al. 2012; Yamamoto et al. 1995), insecticidal (Emmerich et al. 1993) and phytotoxic activity (Romagni et al. 2000). The predominance of neither enantiomer can be proposed on the basis of their results. Moreover, almost no information exists on the possible reasons for the differences observed between the activities of both enantiomers. The aforementioned superiority of (−)-usnic acid over the totally inactive (+)-usnic in terms of phytotoxic activity was connected with blocking of some plant enzymes by the former (Romagni et al. 2000). This may have be the result of some differences in the steric fitting of the enantiomers to the active site of the enzyme. Similar explanation might be proposed concerning differences in the cytotoxic impact of both usnic acid enantiomers. Cancer cells of different origin are phenotypically heterogenic and expose varied receptors on their surface, to which the enantiomers may connect and trigger different effect, depending on their steric configuration. Since the data comparing the activity of both usnic acid enantiomers under the same experimental conditions are scarce, no further speculative explanations can be drawn. Moreover, as no information exists on the steric structure–activity relationship of both usnic acid enantiomers, the problem remains an important challenge for further studies. Another promising direction for future usnic acid research should be toward the biological and pharmacological activities of its racemic mixtures. 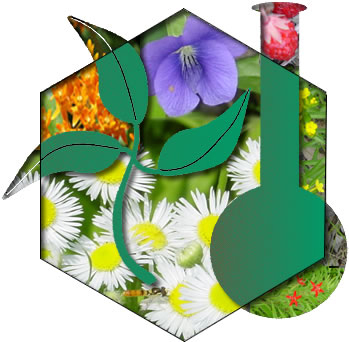 Additionally, the efforts should be made to explain the mechanism of hepatotoxicity of usnic acid and to develop the formulations or the derivatives which will provide the increase in its safety. Usnic acid is a compound of unique structure, existing in the form of two enantiomers, with interesting bioactivity. Antimicrobial, cytotoxic or anti-inflammatory properties of usnic acid enantiomers seem to be the most promising, but the predominance of any of the enantiomers is still an open question. In the light of all the challenges mentioned above, accurate, well-planned future experiments on both usnic acid enantiomers need to be conducted. Their results should enable one to determine if any of the two usnic acid enantiomers is more active than the other and can be preselected as a lead compound for future studies.